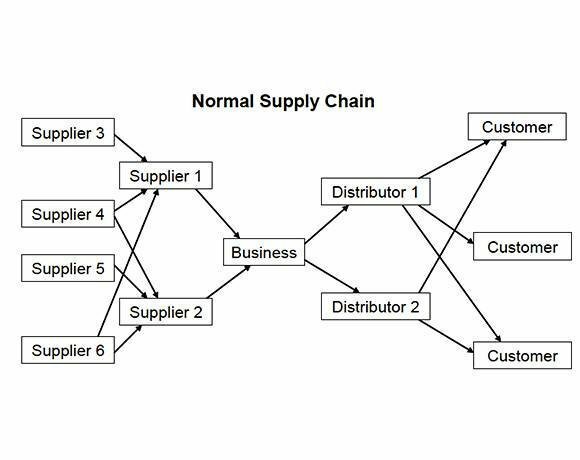 Find out why supply chain analysis is a critical component of business continuity management in this tip. Understanding how your supply chain is organized and identifying and preventing risks to the continued operation of the chain are key to keeping your business running smoothly. Since supply chains delineate how your business moves, they need to be protected from unplanned incidents that could disrupt or damage them. This is where supply chain business continuity management becomes an important business tool. Business continuity (BC) and disaster recovery (DR) techniques are well-defined and governed by international standards and good practices. Applying BC/DR principles and practices to supply chains is fast becoming an important business activity. Supply chain business continuity management (SC-BCM) includes many fundamental actions: supply chain impact analysis; supply chain risk assessment; prevention and recovery strategy development; supply chain BC/DR plan development; plan exercising; awareness and training; plan/program maintenance; and program monitoring, audit and improvement. But aside from the importance of applying BC/DR principles to the supply chain, how far down the supply chain should BC/DR be considered? Because supply chains can be very complex, with many different relationships among the players, it is essential to map your supply chain as precisely as possible. To do so, begin by identifying all the organizations involved in how your business functions. Figure 1 depicts a typical supply chain. The business depends directly on Suppliers 1 and 2, which then depend on Suppliers 3, 4, 5 and 6. Conversely, to ensure its products are delivered to consumers, the business also depends on Distributors 1 and 2. Once you've mapped the supply chain, the next step is to evaluate each of the relationships in terms of business impact. Metrics can include revenue impact, operational impact, delivery impact, production impact, research and development impact, delay impact, staffing impact and reputation impact. Applying BC/DR principles and practices to supply chains is fast becoming an important business activity. If you conduct such a supply chain impact analysis, your key activities are identifying interdependencies both inside and outside the company and documenting the resulting financial and operational impact from a disruption to those dependencies. An important goal of impact analysis is to identify links in the chain that have a significant impact on the chain's success. The high-impact links you identify -- both internal and external -- are therefore candidates for BC/DR activities. Let's briefly examine how the supply chain impact analysis can be used by referring to Figure 1. Suppose Supplier 1 is suddenly unable to deliver goods and services to the business due to a union grievance and a walkout. Regardless of the reason, your organization must adjust its supply chain to compensate for the loss of Supplier 1. But can Supplier 2 pick up the slack from Supplier 1? If Supplier 2 cannot take over for Supplier 1, can Suppliers 3, 4, 5 and 6 provide assistance? Answers to these and similar questions can help you identify ways to reinforce your supply chain. How do cloud computing and mobile IT impact your DR strategy? Once you've completed your supply chain impact analysis, you may wish to perform a supply chain risk assessment. This activity examines and identifies situations that could threaten supply chain operations. Risks may be external and internal and can involve people, processes, physical things, natural phenomena and technology, for instance. Examples of supply chain risks include a major manufacturing plant located next to a river that has a history of flooding, and a plant with a history of strikes and work stoppages by union workers. Both of the supply chain business impact and risk analyses help you define how far you should go with BC/DR in your supply chain. In a perfect world, your SC-BCM activities would touch all members of your supply chain, both upstream and downstream. Realistically, however, your strategy should be to focus on the supply chain members that are the most critical to your organization. Find out if these members have BC/DR plans and if you can review them. If they ask, offer to share your plans with them. Often, a summary-level plan is sufficient for this activity. Take a proactive position with regard to SC-BCM. If an unplanned event disrupts the supply chain, other organizations besides yours may also be impacted by the incident. Paul Kirvan, FBCI, CBCP and CISSP, has more than 20 years' experience in business continuity management as a consultant, author and educator. He is also secretary of the Business Continuity Institute USA Chapter. Let us know what you think about the story; email Christina Torode, Executive Editor. Do you conduct supply chain risk assessments?